Marty did a lightning talk at the recent Smart Content conference in New York. The video is not great quality (stick with it because his face does come onto the screen after a minute) but his talk is interesting if you are curious about how we treat “business” as a domain and use semantic technology to find our customers the critical intelligence about their markets and target companies. FirstRain lightning talk, Smart Content MArty Betz from Seth Grimes on Vimeo. There is nothing like hearing about how customers use a product from the customer himself. Here are two short videos about how Symantec has integrated FirstRain into their market intelligence process and platform. Second: Q&A between Kevin and me (7 mins) – describing how FirstRain is used in the intelligence flow and what it does for the user’s knowledge of their customers and market. FirstRain is sponsoring the new Grace Hopper Conference India in Bangalore Dec 7-9 this year. GHC has been held in the US for many years but this is the first time we (the Anita Borg Institute of which I am a board member) is organizing an international conference and I am delighted it is going to be in India since FirstRain has a develpment operation in Gurgaon, India. And we are hiring – so if you are a software engineer going to the conference seek out our Director of Analytics Aparna Gupta! We are looking for bright engineers with expertize in either applications and algorithms to help us continue to develop our ground breaking search and analytics platform. At FirstRain our customers are business people – people looking for high quality real-time intelligence – and so they include both marketing and sales, and investors. Within the investing community we are considered a type of independent research. Independent because we just supply research, we don’t trade or sell you positions, unlike the big banks. Investorside is an industry association that was formed to help investors find and consume independent research – especially important after the scandals of the early 2000s when sell-side analysts had been pushing stocks they did not believe in. This month FirstRain is featured on the Investorside site – you can read their newsletter here. According to Herscher, business professionals struggle between incomplete and inflexible news or intelligence systems — or Google — as choices for decision content. So they are faced with either incomplete information, or such a quantity of irrelevant information that they cannot find the useful intelligence. FirstRain monitors and then extracts, filters and organizes only relevant intelligence from the web. The information is delivered to users as efficient reports about a company’s business environment including recent events, industry trends, competitive dynamics and management turnover. Interview with my counsel (and friend) Larry Sonsini on the globalization of Silicon Valley. Courtesy of The Deal. Larry Sonsini on the globalization of Silicon Valley from TheDeal TV on Vimeo. Yesterday I had two opportunities up on stage – but talking about very different subject matters in the two. 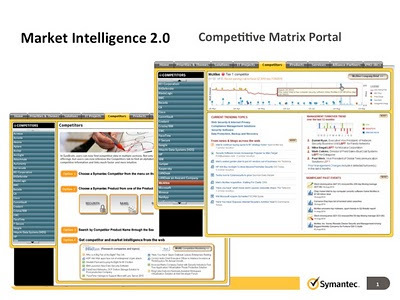 First was on stage with our customer – Kevin Bailey from Symantec – talking about how Symantec uses real-time intelligence and FirstRain monitors to provide unique, instant customer intelligence to their sales force – and how FirstRain is integrated into their SymBrain portal. 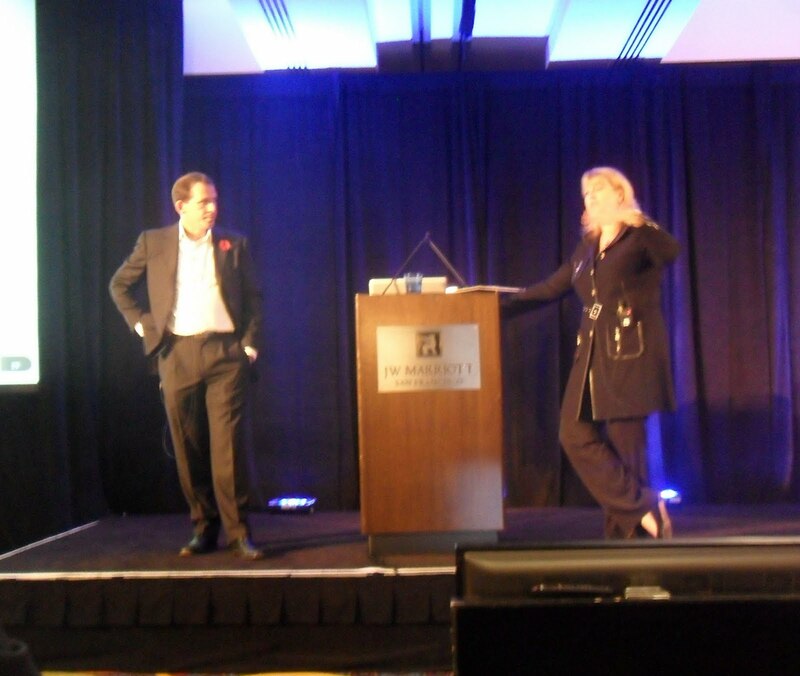 Great fun – and I get a huge kick out of customers talking about FirstRain. More to follow on this – we’ll put up some video from his talk shortly. 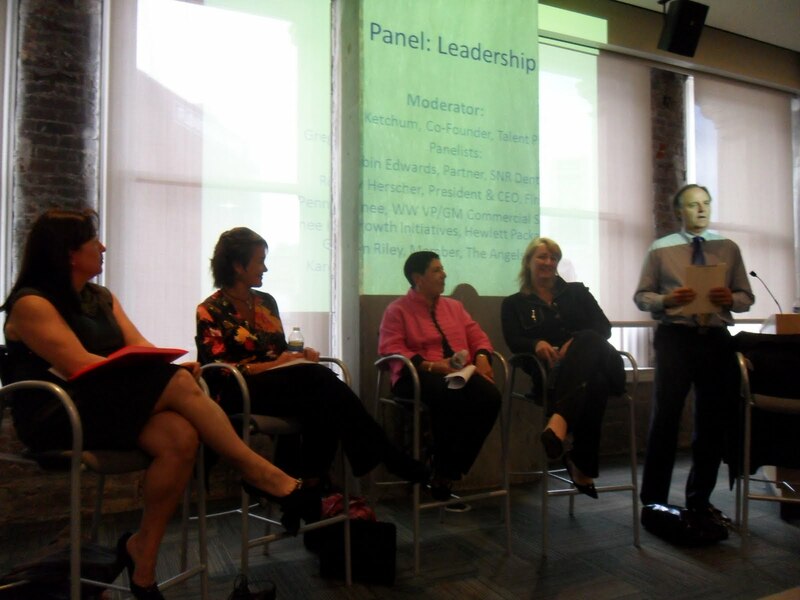 Second was on a panel at Astia in San Francisco – speaking to a group of young women entrepreneurs about leadership. It is always both humbling and energizing to be asked to talk about my experiences and views on leadership. This panel was part of week long event for 43 women to help them get their businesses started and connect them with people who can help them raise money. It was fun and inspiring to talk about leadership with a hungry, smart group of young women – although as usual I was the most controversial. I do enjoy being provocative — but I was also the token CEO on the panel so I had some fun with that. I really enjoyed listening to Robin, Renee and Karen’s perspectives. All such different backgrounds and yet we had many shared opinions on how to grow into being a leader. We talked about the importance of being confident, of setting boundaries and acceptable behaviors, of not needing to know it all yourself, how to manage stress (my input: work out and great red wine) and how to build executive teams who compliment your skills. The most helpful for me was hearing Karen talk about how she took two years to care for both her parents as they fell ill – she cared for them herself in her house for the last 6 months of their lives – and she applied all her leadership and operational skills to make the end of their lives as comfortable as possible. As I navigate my way through the murky waters of ill parents it is comforting to realize I have skills and resources I can bring in to help make their lives easier. I had the pleasure of meeting one of our customers a few weeks ago at a Selling Power conference – a sales rep called Samantha Barrett – and after she told me how much she loved FirstRain I asked her to describe for me how she uses it every day. It’s always helpful for me to listen to a user’s daily experience and make sure I understand what they like and how we can improve. XL Group is in Philadephia and they provide sales and marketing solutions to the life sciences and automotive industries. Their products are software packages like SFA, data management, BI etc. Sam uses FirstRain to both save her time, and help her develop her top prospects. As she says “I use FirstRain to solve four problems: how I stay current on my top 10 prospect’s businesses, how I understand key industry changes, how I find expansion opportunities in my existing customers and how I know what’s new for my competitors”. Sam goes into FirstRain every morning to analyze what is new with her top prospects, and she also uses email monitors to track her major existing customers, her market and her competition. The unique intelligence she needs, when she needs it, in her daily workflow. You can read a short case study of how she uses FirstRain here (download the XL Group case study).